Excellent Central Mississauga Location! 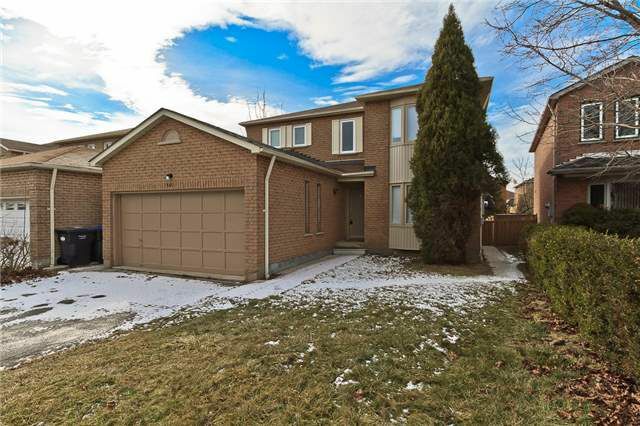 Very Well Maintained 4 Bedrm, Double Garage Home On Very Quiet Crescent! New Hardwood Floors On Main Level & Upper Landing! Wood Staircase! Large Bedrooms W/ Newer Barber Carpet. Newer Roof, Windows. All Bathrooms Are Renovated! Sun Filled Kitchen With S/S Appliances & Breakfast Area. Family Room W/Wood Burning Fireplace! Living & Dining Combined Together!